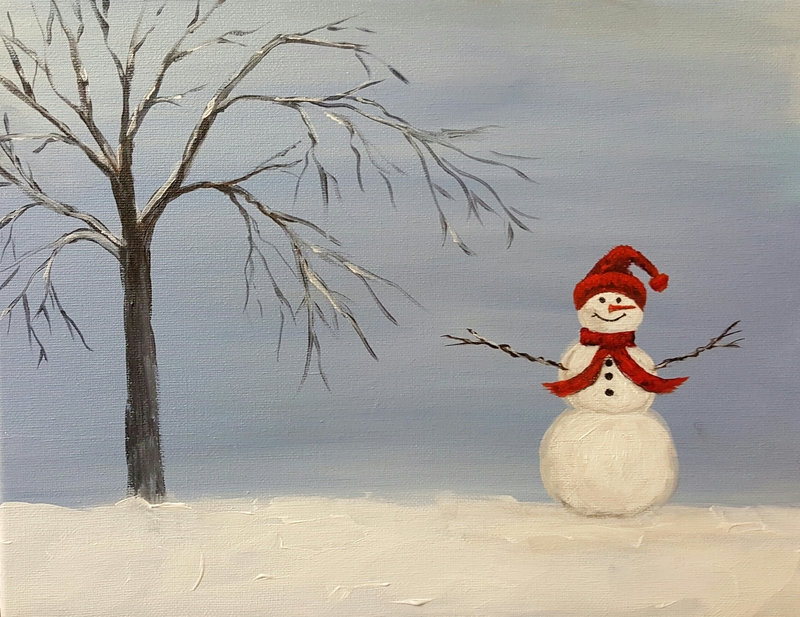 Snowman Time | "A Place for Learning"
A fun little snowman painting that I worked up for an upcoming private birthday paint party. They requested a snowman. Part of the fun of doing private paint parties is hearing people’s ideas on what they would like to paint. I love their ideas. Check out information here for holding a paint party for you and your friends and family.